Unique small-ratio mentoring and tutoring ministry, Path To Shine announces the kick-off of its 2nd Annual Share the Love awareness and fundraising campaign. Supporting this fast-paced, 28-day effort to celebrate February 2018 as the “Month of Love” is quick and easy. You can help in two simple ways. 1. Share by making a quirky donation of $28 ($1 for each day in February). 2. Share again by following Path To Shine on Facebook and Twitter and “liking and sharing” their daily campaign posts. Not on social media? Share Connecting via email with family and friends. Each week, over 170 elementary students burst through the doors of Path To Shine programs in 14 diocesan locations, eager to reconnect with their volunteer mentors and share stories from the past week. 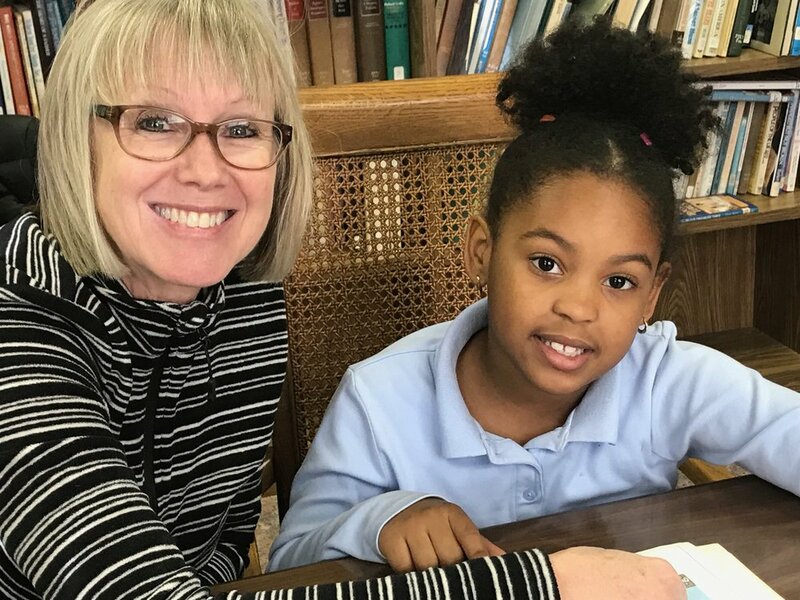 Path To Shine’s desire to draw its circle wide with the Share the Love campaign is rooted in the ministry’s founding belief that elementary school children living in poverty need caring, committed mentors and tutors who encourage them to see their own paths to becoming successful adults. The ministry strives to inspire underserved children to achieve hope-filled dreams, while motivating adults to volunteer and make a difference in a child’s life. Since launching its first program in 2010, Path To Shine has trained 300 volunteer mentors and provided more than 26,000 hours of caring, adult mentorship. With an intentional 2:1 ratio of children to adults, PTS’s programs are focused on creating significant impacts by matching children with volunteers whose mentorship becomes a steady and trusted presence in their lives. Path To Shine’s innovative approach places great importance on the volunteer experience. With mentors ranging from high school students and retired teachers to working adults across the wide range of industries, many of the ministry’s volunteers have faithfully served as Path To Shine mentors for three, five, even seven years. PTS provides multi-faceted training for all volunteers, covering topics such as mentoring, effective listening, diversity, and methods for helping children improve their reading skills. “This past year, we expanded our programming and trained dozens of new volunteer mentors. One of the things that we learned very early on with Path To Shine is that volunteers need training. Anyone who is going to volunteer for anything needs tools and needs to feel safe and competent,” explained Drake. Deacon Edith W. Woodling, a retired educator, helps PTS with mentor training and program curriculum. Genuine, effective mentorship of children requires a blend of individualized elements—it’s a web of personal attention, friendly engagement, educational focus and patience, consistency, safe surroundings, and sometimes, gentle encouragement during challenging moments and even failure. A typical PTS afternoon includes quiet time for volunteers to work one-on-one or in small groups. Mentors work with the same students each week, helping with homework, reading together, or catching up on the week's events. Snack and playtime are also valuable parts of the program. Another key element of PTS is structured group time. Through stories told using books or guest speakers, group time is an opportunity to practice attentive listening and comprehension and learn valuable life skills. Finally, there is only so much a child can learn in the classroom. A lot of what we learn is outside the school building – experiences and adventures many people take for granted. For Path To Shine children, an outing to a fire station, a museum, or a Braves game offers a rare opportunity to experience something new. Financial support from campaigns like Share the Love enables the ministry to support the local programs to allow enrichment of kids’ lives with fun and educational excursions.